Vacum cleaners are cool. Yeah right! You've gotta hand it to those marketing people when a vacuum cleaner looks this cool you've been sucked in. 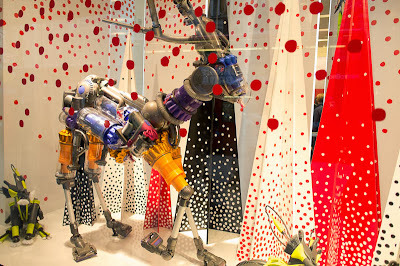 Despite being lured in to how cool it looks, I do not want a vacuum cleaner or any other cleaning accoutrement for Xmas. OK! My "dammsugare" looks nothing like this one. Actually, this one looks like it might just sweep you up if you were in the way. Love this one. I don't think Lupe would be too happy with it. Vacuuming is not my job, thank goodness! Cool display though. Fabulous! 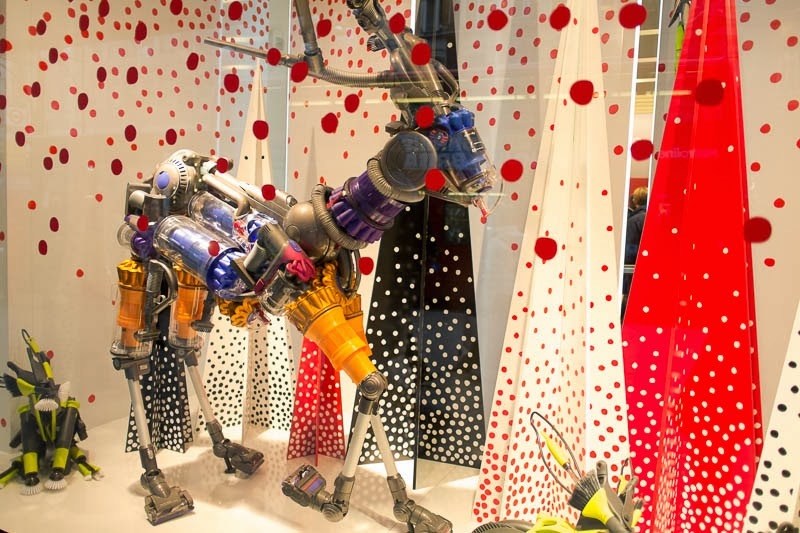 The artists who design window displays can come up with some pretty eye-catching scenes.